Wedding Bands Just don’t get any Better than The Jukebox Kings. We pride our selves on our appeal to both Bride and Grooms Musical Tastes. Not too much Rock and just enough Roll. Our Musicians are Professional performers and are managed professionally too. Often we hear horror stories of Wedding Days ruined by an unprofessional supplier. Suppliers who have failed to deliver on their promises. Wedding Bands are like other Wedding suppliers. Some are excellent and some are very ordinary. Being a professional Musician does not equate to being a business professional. The Jukebox Kings Sales/Bookings and communications are all handled by Professional Management. Excellent Customer Service and communication are a pre-requisite to your contract with your Wedding Band. If you are not receiving excellent service from day 1 then this should signal alarm bells. If Your Wedding Band can’t get the basics right, then how can you be confident that they will deliver Professional Entertainment to you on the Big Day? Wedding Bands create the Live Music that is the benchmark for every great Wedding. Book one of the Best Wedding Bands in Ireland for your Big Day? Great Music is vital to a successful Wedding Celebration. Your Band should ensure everyone joins in on the dance floor. 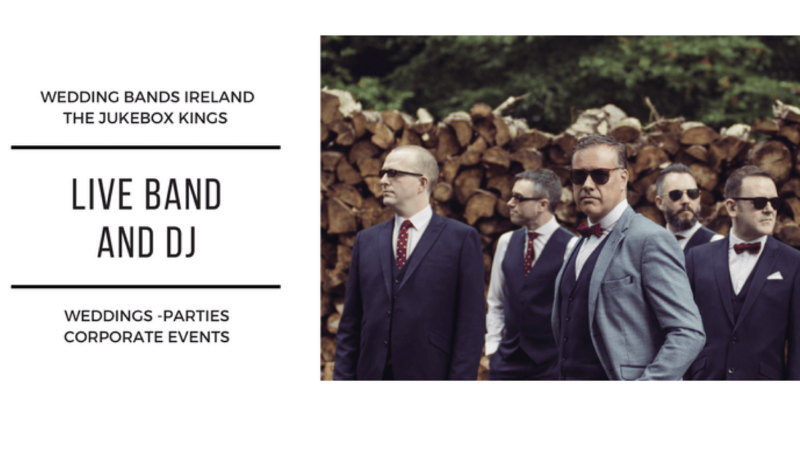 The Jukebox Kings are Ireland’s Best Live Wedding Band providing Fantastic Party entertainment. Filling Dance Floors is our specialty. We are experts at providing the right mix for you and your guests. This Video was great fun to make, we had Scorching weather and a great Team helping to make us look cool! We are certain you will have as much fun watching it as we did making it. Let us know your views on our YouTube Channel or Via Facebook or Twitter. 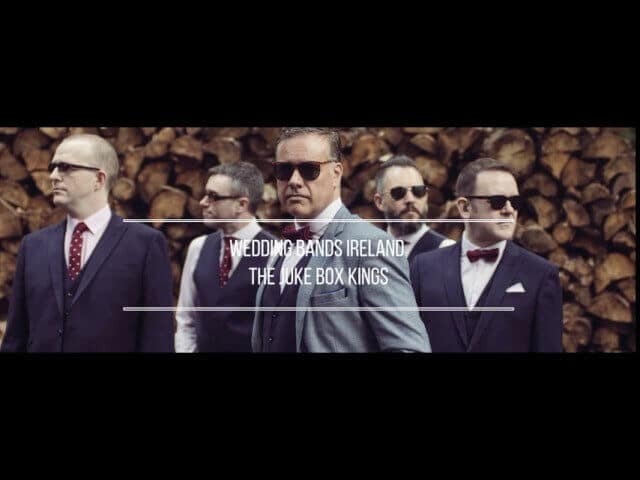 Dublin based Band The Jukebox Kings are 5 professional musicians providing a unique entertainment offering. Killer Lead and Backing Vocal/ Harmonies. Combined and complimented by excellent musicianship. Performed by a Band with a fantastic Musical pedigree. We have all worked in the Wedding Business for many years. Playing together as The Jukebox Kings Wedding Band for 10 Years. Our longevity makes us a safe and secure option for your Big Day. As a Wedding Band, we have maintained our prominence, popularity, relevance, and freshness in the Wedding Business for over a Decade. This experience makes us better equipped to provide entertainment than a Band that has only just emerged from the latest Music Factory. The Jukebox Kings are always looking to become involved with Top Professional Wedding Suppliers. We are delighted to recommend The Tullamore Court Hotel, Winner of the Midlands Hotel of The Year Award. Click on the link to visit find out more. We recognise and appreciate that every wedding couples musical tastes differ and vary. We always perform as a Live Wedding Band, no lip syncing or backing tracks. Derek manages our bookings and provides exceptional attention to detail for our Bride and Groom requirements. We work right alongside you every step of the way to ensure that we get your special mix just right. The Jukebox Kings Wedding Band Templeogue, Dublin 6W, Co Dublin, Ireland. Wedding Bands In Ireland, How do the Jukebox Kings Compare? Click here to read why we are regarded as one of the Best Live Wedding Bands in Ireland.